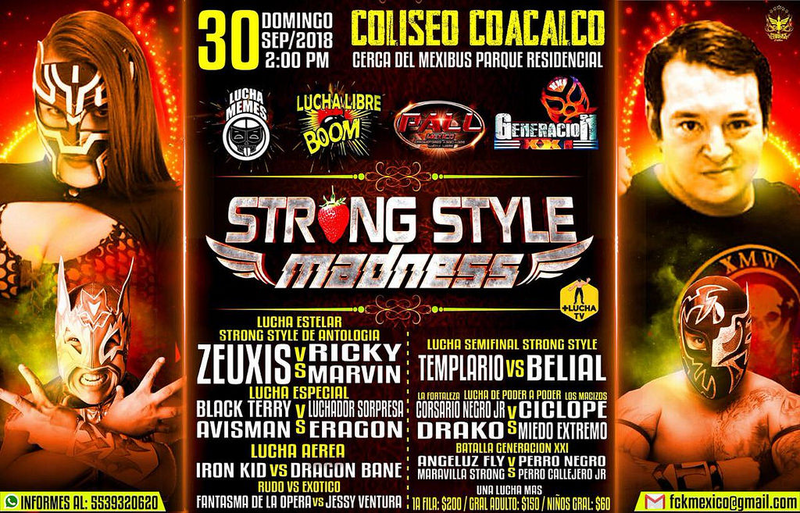 replaced a Fantasma de la Opera/Jessy Ventura match? Belial was coming in with a knee injury, which Zeuxis took advantage of to win. Marvin had control most of the match but Templario still won in the end.